AutoNation Inc. no longer refuses to hire job applicants who test positive for marijuana in drug screenings, Chief Executive Officer Mike Jackson said in an interview. 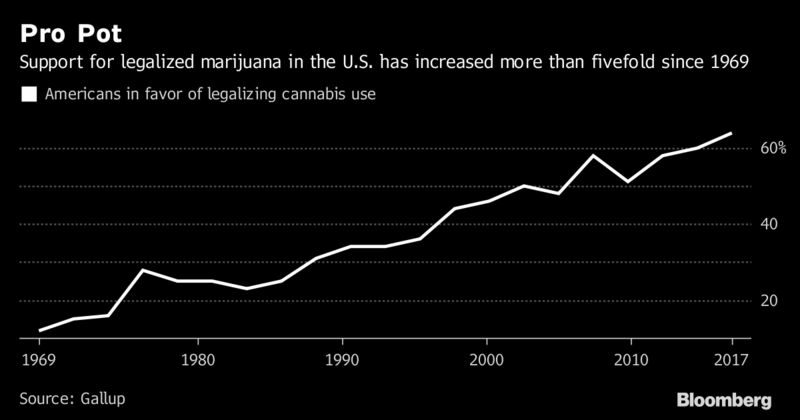 The shift, which Jackson said was made quietly two years ago, shows that corporate America’s hiring practices are evolving along with marijuana legal status. AutoNation will still bar anyone who tests positive for other illegal drugs, including cocaine, Jackson said. The Fort Lauderdale, Florida-based company, which is largely controlled by Bill Gates’s Cascade Investment LLC and hedge fund billionaire Edward Lampert, employs 26,000 people. With all the uncertainty surrounding pot’s legal status, many companies will probably choose to maintain the status quo. Restaurant Brands International Inc., which owns Burger King, hasn’t made changes to its corporate marijuana policy, said CEO Daniel Schwartz. And Ford Motor Co. still treats the plant as an illegal drug, according to a company spokeswoman.